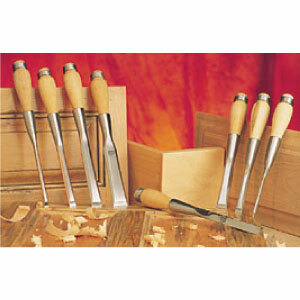 This chisel is hand crafted with the professional furniture and cabinet maker in mind or any woodworker looking for superb performance in their chisel. Hand packed on the anvil, hardened to RC 62 and ground flat on the back, it will give you many hours of effortless cutting between sharpening. Come with ferruled ash handles.